If you're in need of a reliable Hollywood Injury Attorney, call Robert Gluck at the Law Offices of Robert E. Gluck, P.A. Since 1989, he has been helping clients with their cases in South Florida. He has the experience and resources to provide you with the legal guidance you need and help you to get the financial compensation you deserve for your injuries. 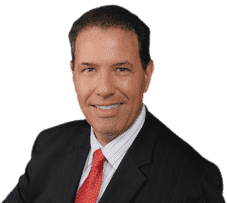 If you've fallen on someone else's property, been in an auto accident, used a defective product, or been in any other sort of accident and it resulted in you getting injured, call Hollywood Injury Attorney Robert Gluck right away. He will represent you in your case and fight hard to make sure the at-fault party pays for your medical expenses. Before your Hollywood Injury Attorney can move forward with your claim, he will first need to prove negligence existed at the time of your accident/incident. Negligence is the legal standard one must follow to avoid injury to others. If Robert Gluck can prove negligence, he will be able to gather evidence and build a strong case for you. Your Hollywood Injury Attorney will locate any witnesses to your accident to get their statement, secure video surveillance, assess any property damage, take photographs of the accident scene, and obtain any additional evidence he believes he will need to get a favorable outcome for your case.